Most of us have probably seen gorgeous TV kitchens and drooled over the appliances and layouts we don’t have. While you may think such a kitchen is out of your reach, think again. Kitchen renovations can be costly but they don’t have to be. Whether you’re concerned about finances when considering renovating a kitchen, there are several things to keep in mind as you plan. Read on for five things every homeowner should know before jumping into a kitchen renovation. Before beginning your kitchen renovation, have a budget in place. You could easily spend upwards of $30,000, so make sure you know where your money is going. Consider what updates and functions are most important to you and use those to plan your budget. Don’t be unrealistic and keep your spending in check with the overall value of your home. Plan for functionality, visual appeal, and cost-effectiveness as you decide how to spend your funds. While you may not want to hire a professional, doing so will help your renovation process immensely. When designing your layout, don’t be afraid to pay for help. Stores offering free design services will only have so many options for you. Hiring a designer will allow you to get exactly what you want. Contractors are worth your money too. Their knowledge is invaluable as you plan and work on your project. To lower costs, combine your own manpower with your contractor’s. 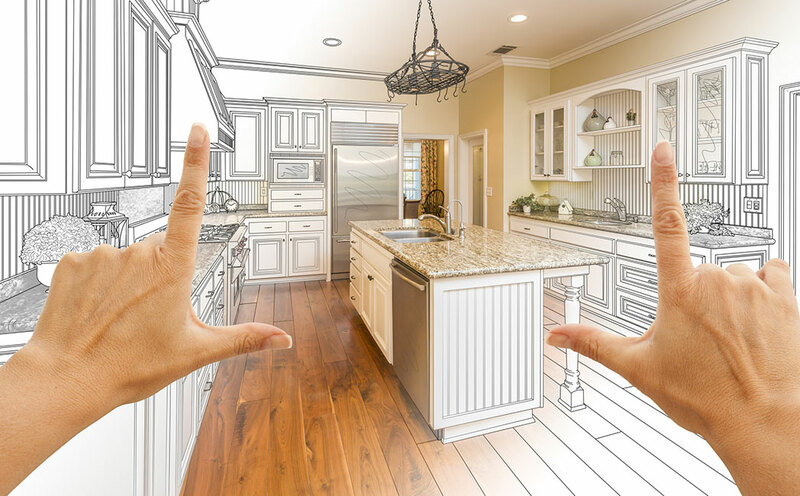 Professionals help you consider all the important aspects of your kitchen renovation, including spacing, sizing, appliances, and the best materials. If you’ve been wanting to expand your kitchen, do it during renovations. There’s no point in spending money on the look of your kitchen if you want to change the layout later. To save some funds, look for ways to repurpose space. Stealing some space from other rooms will be less costly than building on to the existing room. Your existing kitchen may have many great features and you shouldn’t ignore those. Pay attention to what you can leave in place. You can change the entire look of your kitchen without changing the actual layout. If the plumbing, windows, and other fixtures are still sturdy and functional, use them! Refacing cabinets is a great way to change the look of your kitchen. This will also save you a bunch of cash. Utilizing original wood floors will also save you a lot of work and money. If there’s potential for you to move in the near future, don’t go crazy with the renovations. There’s no point in dumping tens of thousands of dollars into a project you may not be around to see. When working on a kitchen that you’ll soon be leaving, focus on surface work. Upgrade the visual appeal of your kitchen and leave the rest how it is. Flooring, counters, paint, and even lighting can be done inexpensively while making your kitchen look more modern and clean. In most cases, renovating a kitchen is no small endeavor. Make sure you know what you’re getting into before you get started. Verify that you have both the funds and the time to see the project through. Know what you want in your new kitchen. Don’t jump in with only the knowledge that you want something different. Whether you hire a professional, do it yourself, or choose a combination of the two, kitchen renovations should be fun and exciting, so get out there and make your kitchen your own. For answers regarding your specific kitchen renovation, contact us today!